If you have the fundamentals down pat, and you’re ready to take your striking game to the next level, Easton Training Center’s Muay Thai program is the right place for you. Structured for our more experienced students, the classes emphasize partner work. Instead of punching and kicking a bag, your strikes will be directed at Thai pads, which will be held by your partner. You’ll be able to focus on your game, assured that both you and your partner are already solid on the fundamental techniques, and will be able to practice them safely. Muay Thai is sometimes referred to as the “art of eight weapons” because practitioners use their fists, elbows, knees and feet to strike their opponents. Having a wide variety of striking tools and options makes Muay Thai fighters particularly effective and efficient. If you’re interested in MMA, Muay Thai techniques will be a valuable addition to your arsenal. Besides teaching you valuable techniques of attack and defense, training in Muay Thai also provides the benefits of cardiovascular and strength conditioning, hip flexibility, and balance. 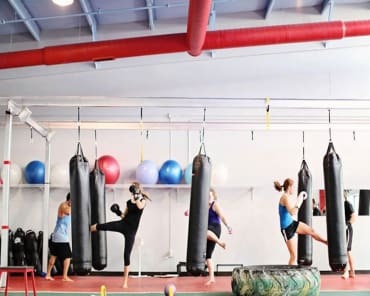 With 3 different types of classes, you're bound to find the Muay Thai Kickboxing course that is best for your skill set and interests! 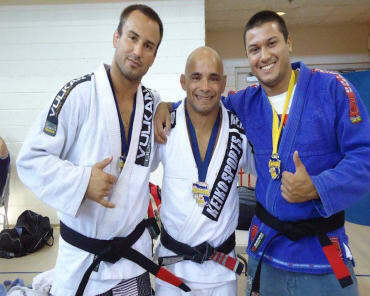 This class covers punches, kicks, knees and elbows, as well as clinch work, and defense. In the intermediate classes, instructors break down a specific technique and its applications during a Muay Thai fight. This class adds pad- and mitt-work with a partner. We also implement Dutch Style drills, which involve drilling combinations using gloves and shin guards. There is no live sparring in this class, but there will be some controlled drilling rounds with your partner. This class develops a strong understanding of all the Muay Thai weapons and how they can be applied. This class also familiarizes you with the striking number system used at Easton, and how to safely and successfully work Thai pads with a partner. Designed to incorporate every piece of Thai Boxing, and how to combine them, this class covers offense, defense, countering and clinch work. You’ll fine tune every part of your game. Going beyond what you’ve learned in the Intermediate Muay Thai classes, in the Advanced classes you’ll drill with partners, and focus on applying techniques in live fight situations. 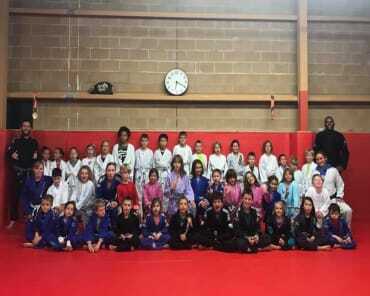 Students in this class have shown a strong understanding of all the Intermediate level techniques, and an ability to train safely with everybody in the academy. The Sparring class is designed to apply your techniques in a live, but controlled setting. Sparring at Easton is designed to help both partners get better, without worrying about getting hurt! These training sessions with include sparring drills and live, technical sparring rounds. The sparring class is reserved for advanced members only. With our world-class instructors dedicated to raising your Muay Thai skills to the highest level possible, there is no reason to wait!